Minnesota Public Radio is hosting a discussion tonight on New Media journalism ethics, moderated by Dan Gillmor. It looks like all the tickets are gone, but Metroblogging Minneapolis is promising to live blog it. I’ll be there and probably ask a question or two about the role of design and credibility. If I have anything to add, I’ll post here tomorrow. 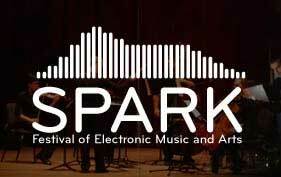 The Spark Festival is this week. Always good stuff. Graffiti Research Lab is in town, and will be giving a talk on Wednesday, Feb 27 at 12:30 in the Regis Center on the West Bank campus. On a related note, Ali Momeni, a professor at the U is teaching a class this semester where his students are building GRL-inspired mobile bicycle projection units. The class has a blog and will likely be collaborating with The UnConvention. I’ve posted some more info on The UnConvention’s blog, too.